Increased collaboration – BDD promotes discussion up-front and reduces handoffs that traditionally occur. Build the right thing the first time – Through increased collaboration there’s better understanding of what needs to be built and there are fewer surprises when the product is finished. Since introduction of SpecFlow, I would say we have seen more communication between QA, developers and Product Owners. It hasn’t been a dramatic, complete change to our process, but it has improved communication. With code reviews there’s been significantly more review of tests. 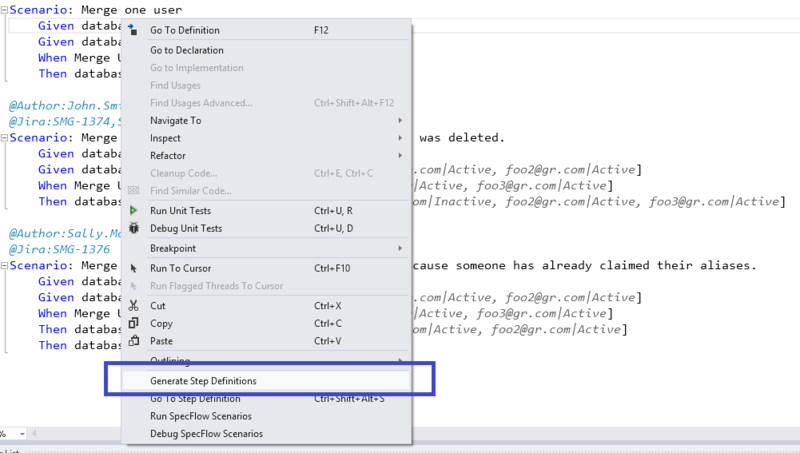 Reviewing tests and be a bit tedious and if you’re not familiar with an area of code reviewing all the test scenarios isn’t easy. With Gherkin tests everyone on the team can (and usually does) read them and ask questions or concerns. Writing tests has been a pretty steep learning curve for the more junior developers. I think most people are now familiar with it, but it’s taken time. Senior developers have a completely different challenge of philosophizing how best to refine and optimize specifications. 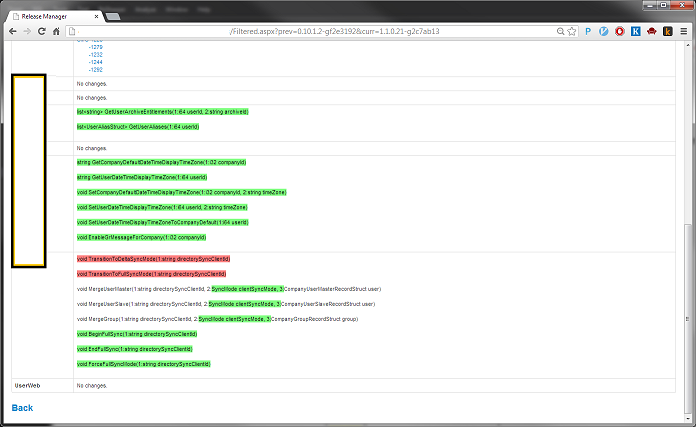 After experimenting with SpecFlow a bit, now I want to try and run the tests automatically with Jenkins. It turns out it was incredibly easy. Really there are just 4 straight forward steps, which I think are best explained with screenshots. Easiest way to do this is with Chocolatey. I installed the GIT, MSTest and MSBuild Plugins. I had to set the paths for MStest and MSBuild. This is a very straight forward project. It gets the latest source from GIT, builds it with MSBuild and then runs MSTest. 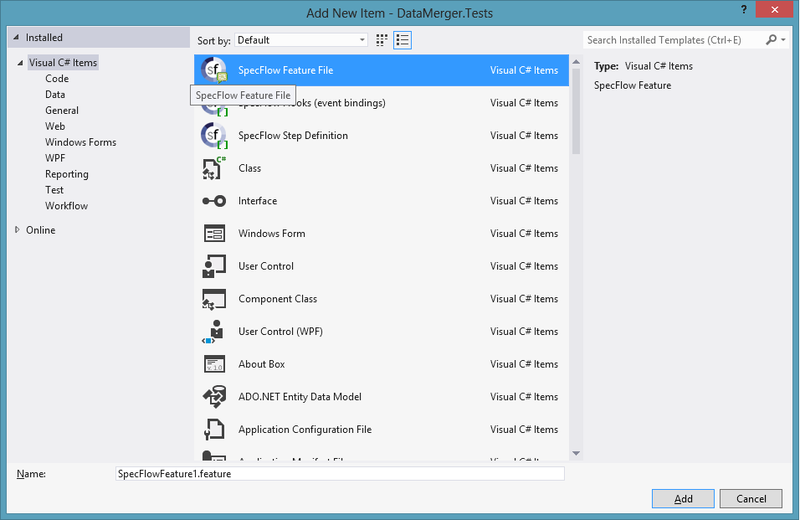 The tests are actually written with SpecFlow, but they are compiled and ran as standard MSTests. I realize my computer has Visual Studio, .Net and everything else I already need setup. Normally on a build server you have to install all of that from scratch. Running MSTest without Visual Studio is a bit of a pain too. MS must figure that people will be running their tests from Team System. Overall, I’m really impressed with Jenkins. 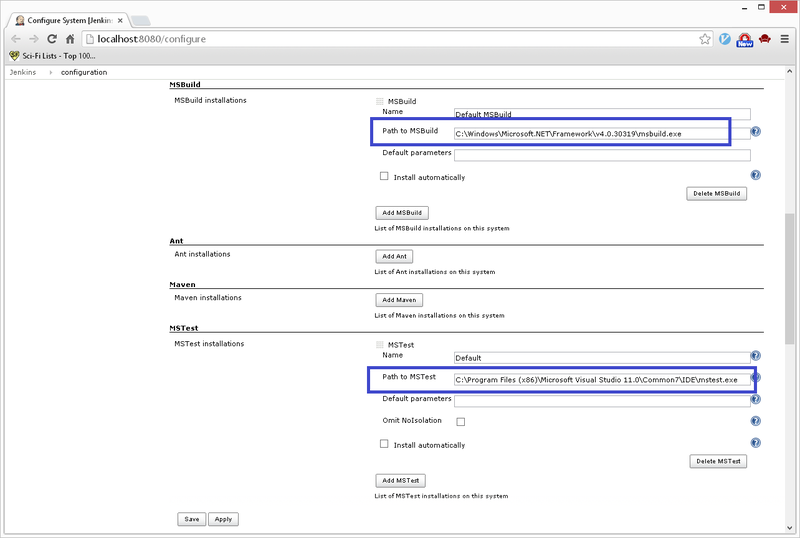 It takes no time to get an automated build running with no previous experience. I spent considerable effort porting the Java Avro RPC support to C#. The Avro C# RPC code has recently been merged into the Avro SVN trunk. I’ve been using the patch at work for several months now with no problems. I figure now is a good time to make a pre-release of the DotNetFlumeNG client with the Avro support. There’s not a lot of uptake on the log4net client so for now I’m only supporting NLog for the Pre-Release. Enter the Release Manager. 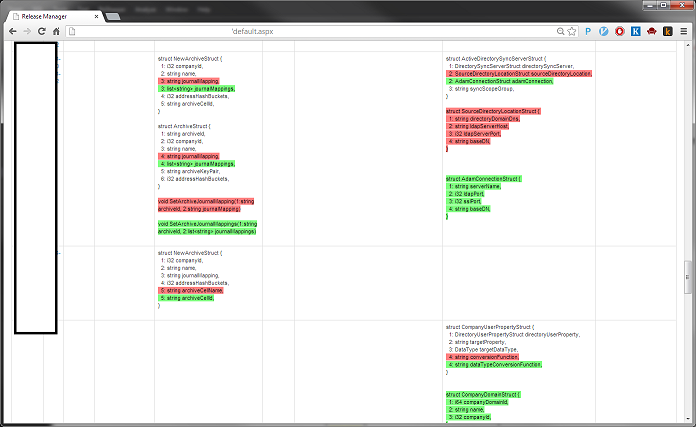 The Release Manager monitors an artifacts folder and computes the differences between class files that it is tracking. For my application I’m interested in versioning thrift interfaces so it converts the C# changes to the relevant thrift IDL interface. Say what? Yup. It is a bit of a hack to go from C# to Thrift. The hack works surprisingly well. So well that I think this could be extended to make a very cool Code-First-Thrift-from-C#-tool. The code is definitely a little rough and specific to my problem space. It is data-driven, but I would guess code changes are needed for most different applications. If I find time, I’ll look at extending and generalizing the solution. 1. A folder with sub folders for each build. Each sub folder has .Net assemblies. There is a hard requirement that the folder name includes the shortened GIT hash; Alternatively the shortened git hash can be stamped in one of the assemblies. 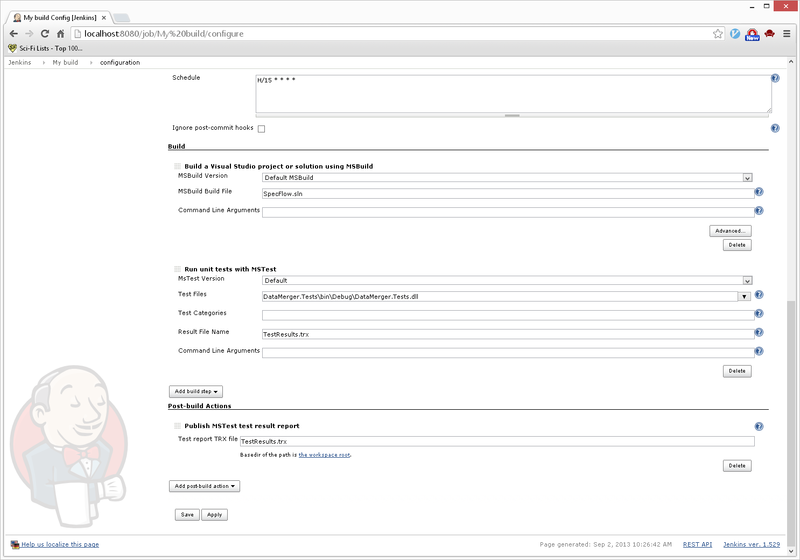 Atlassian JIRA integration is optional and requires Atlaassian Stash and a specific GIT workflow. The GIT workflow requires feature branches to be named the same as a JIRA ticket and feature branches are merged using pull requests. 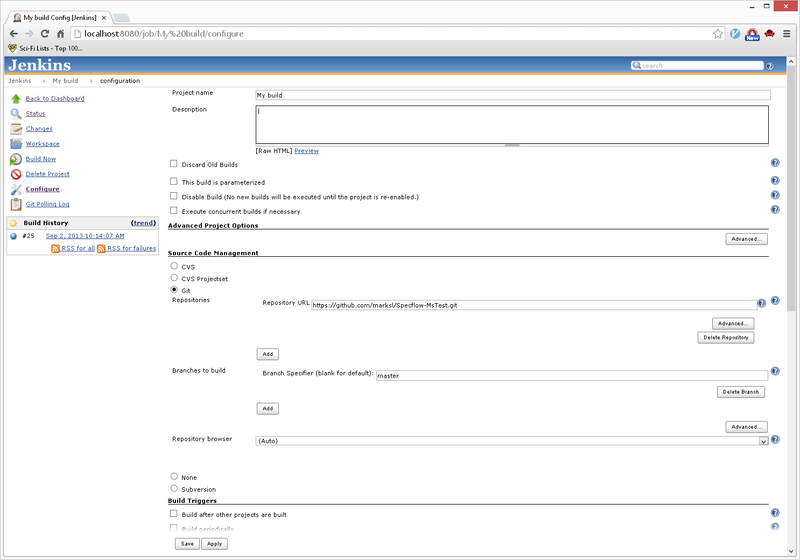 With this workflow, the Release Manager can associate specific JIRA tickets with each version of compiled software. There are four stages to processing changes. Each of these stages have a unique command line parameter. Each of the stages can be run independently of the others. The components and their interactions can be seen here. A major driver of the tool was for this to be simple and loosely coupled, while providing definitive information that is integrated with our GIT source control, JIRA ticketing system and build server. 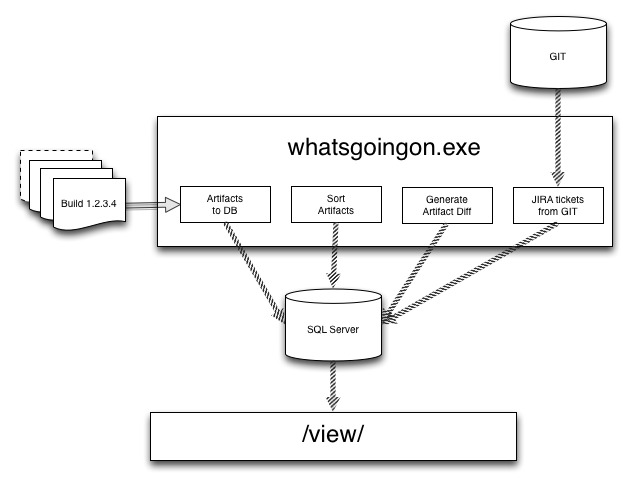 whatsgoingon.exe is designed to be run as a windows scheduled task to provide near real time information about what changes are made to each and every build. Below are pictures of a large enterprise project. On Git Hub there’s also a that can be generated by running create-db.sql, build.bat and whatsgoingon.exe –artifacts –setPreviousId –processDiff. Note to self: It’s easy to import an entire file into SQL Server.